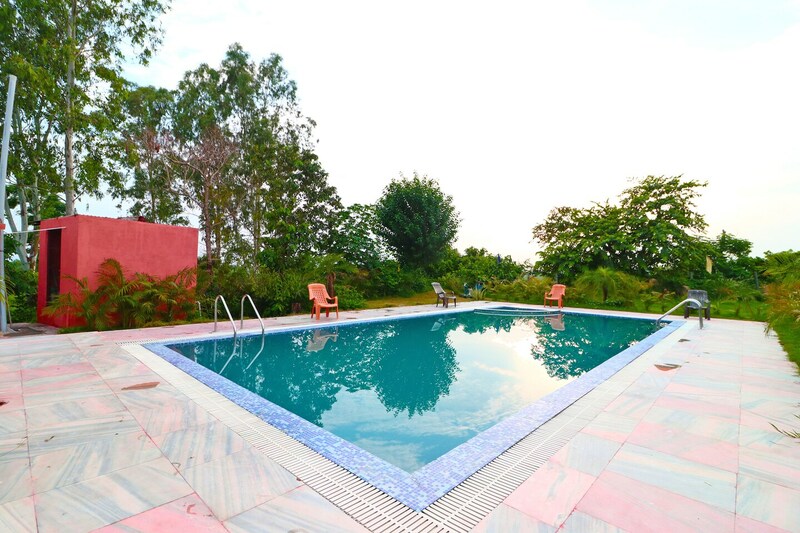 Corbett Sunrise resort is located in the Gangapur area and is located amidst amazing views and natural beauty. While all major attractions are easily accessible from the hotel, it close to the Baraati Falls and the jeep safari starting points. It also has a wide-open green area which is well-maintained and is lined by tall trees. The rooms offer a view to the pool and amenities like AC, TV and hygienic restaurants. You can avail facilities like in-house restaurant, dining area and ample parking facility. Most good restaurants are not too far away and can be reached through a 10-15 minute drive. You can enjoy various cuisines at restaurants like Delhi Darbar, Panchvati and more.